What happens to light when it hits a star? When we look up at the night sky and see the stars, our eyeballs are absorbing photons of light from that star, and converting them into energy that our brains can process. Those photons have traveled between decades and millennia in most cases, and they have ended as an electrical signal going to your brain. In principle, a photon from a star could be absorbed by anything, not just your eyeball. However, some objects are a little better at absorbing light than others. The absolute champions of absorbing light are called black body objects, which is a term applied to anything that absorbs all light. Any and all light that hits a black body gets absorbed; these objects glow due to their own heat. If that sounds suspiciously like a star, you’d be right. Stars are almost perfect black bodies- they’re one of the closest things to them in nature. If a photon from another star missed the earth, and hit the sun instead, that photon would be instantly absorbed into the sun. In order to understand what happens next for that photon, we need to have a bit more understanding of how light gets to the surface of a star in the first place. Stars the size of our sun can generally be divided up into three sections. The innermost section is the core, where fusion occurs. This is where atoms are slammed together with such energy that they fuse together into larger atoms. For something the size of our sun, the only atoms that it can assemble are hydrogen atoms into helium. This is the simplest building block for elements, and takes the least amount of heat and pressure to do. As a byproduct of this building process, the star also creates light. The core of the star is actually quite easy for the light to escape from. It’s effectively transparent — in that light doesn’t have to bounce off of much to get from one side to the other. If you were comic book or Mario style invincible and had an invincible friend, and stood on opposite sides of the core of the sun, you’d be able to see each other. 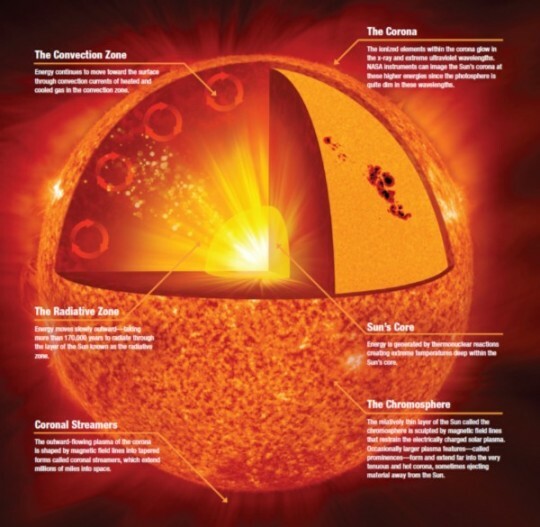 In the case of the sun, what happens is that all the newly formed light from the core hits the inner layer of the radiation zone and is absorbed. This zone is opaque to light, so it’s constantly being absorbed and then spat back out by the atoms in the radiation zone. However, this process doesn’t just go “out” towards the surface of the sun, it goes in any and all directions, so the photons of light wind up going in what’s called a ‘random walk’. A random walk is a series of steps in a random direction. They might take you in a certain direction for a while, then reverse course, then reverse again, then go in a circle, and then out of the radiation zone. (You might even head back into the core, having to start all over again at the beginning of the radiation zone.) 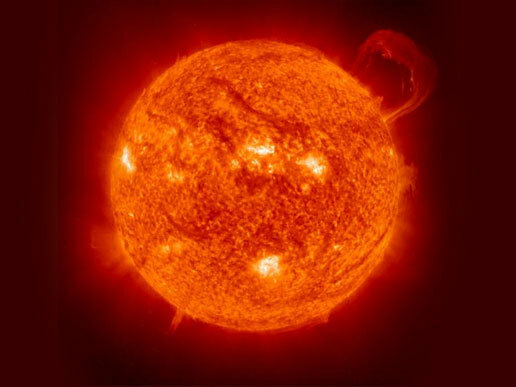 Typically, given the size of the radiation zone, and the number of atoms around to absorb a photon of light, it takes several hundred thousand years for any given photon to escape this part of the sun. Next up is the convection zone. Convection is another method of moving energy around, but unlike the radiation zone, which moves energy around through spitting photons all over the place, convection involves the motion of atoms themselves, like in a boiling pot of water. Photons leaving the radiation zone are absorbed by atoms in the convection zone. These photons then heat up these atoms, and they begin to rise, like bubbles in our boiling pot of water. In fact, we can even see these bubbles directly, if you observe with a powerful enough telescope. Cooler material (closer to the surface) will fall down to replace it as it leaves. This rising to the surface only takes about a week, and once the atoms reach the surface, the photons are free to leave the Sun itself. This point — when photons can finally stream freely away from the Sun, is called the photosphere, and is, for all intents and purposes, the surface of the sun. 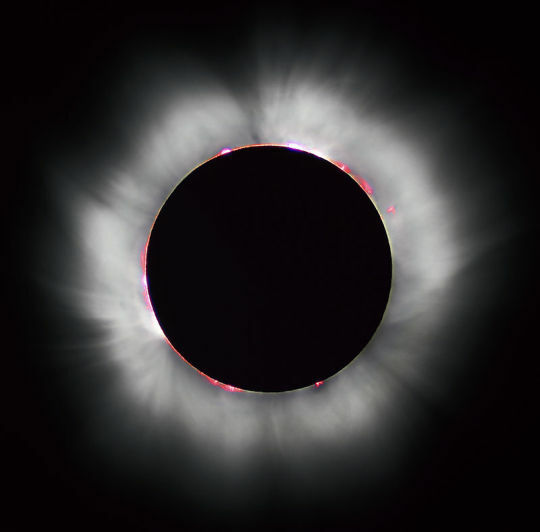 The sun does have an atmosphere beyond this, but it is thin, and best visible during a total solar eclipse. If you’re a beam of light hitting the surface of the sun, you’re trying to do this backwards. 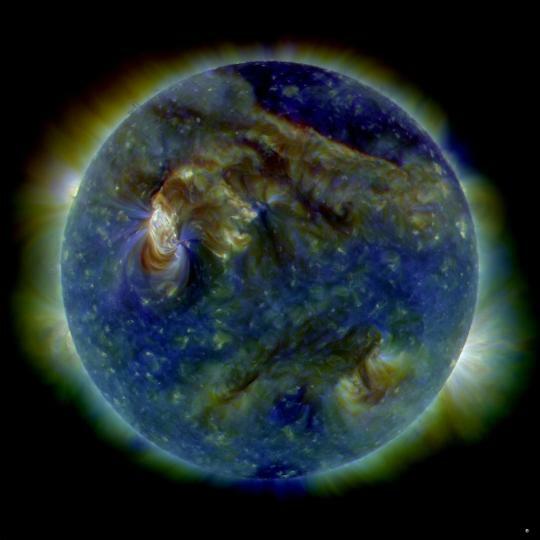 If your goal is to be re-released from the sun quickly, your best bet is to hit a part of the surface of the sun that’s particularly hot, and still rising. If that’s the case, while you’ll be absorbed into the surface of the sun, the motion of the atoms which make up the sun will generally keep that energy near the surface, and it’s likely the photon will pop back out of the surface of the sun relatively quickly. Less likely, but still possible, is that the energy of that photon gets sucked into the atoms which have begun to fall back towards the center of the sun. Even if the atoms carrying that photon’s energy make it back all the way down to the boundary of the radiation zone, the photon is very unlikely to wander into the radiation zone again — it would have to be released by the atom first, and the atoms would much rather just rise to the surface again. 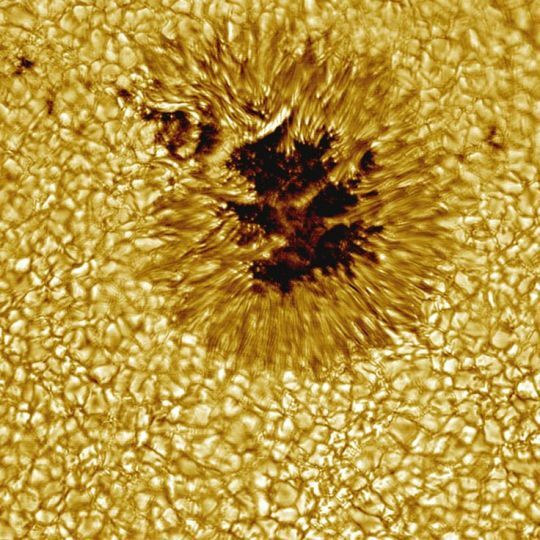 So the photons which land on the surface of the sun — in all likelihood — are looking at a trip within the very outer layer of the sun which lasts at most two weeks or so. Even though the photons of light within the core take hundreds of thousands of years to make it from the center of the sun to the surface, anything coming in from the outside simply won’t make it that far into the sun to have a long journey. Have your own question? Feel free to ask!